Porsche 911 LED Taillights are a slick high tech upgrade for old or worn out stock tail lights on your 911. L.E.D. taillights are the newest type of tail lights available, and they use super bright and fast acting LED’s to give your 911 the look of the newer high end vehicles on the road. With a relatively simple installation, you could enjoy the benefits of faster light response time as well as increasing the visibility of your signaling and braking. Best of all, 911 L.E.D tail lamps give you a clean look similar to the red⁄clear style of taillights, with the same type of aggressive styling found on Altezza tails. Also, due to their bulb-less design, they are more resistant to leaking and fogging up than the other styles of tailllamps available. 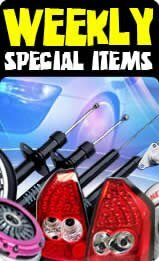 At Tunersdepot.com we do our best to source and offer the biggest selection of Porsche 911 LED Tail Lights, unlike other websites that only carry 1 or 2 styles from the brand that they can make the most money on. In addition to the current selection offered by KS, Sonar (YD), and JY (Junyan aka TM Lighting), we are always adding new brands and the latest releases. Also, instead of just offering the standard Red/Clear 911 LED Taillights, we try to offer the corresponding Black, Chrome, and other color variations available from the manufacturers. These 911 L.E.D. Taillights, like all the other projector headlights, taillights, and foglights on our site, come complete with both sides, and should be street legal in most communities. Our line of Porsche 911 LED Tail Lights carry thru 1999, 2000, 2001, 2002, 2003, 2004, 2005, 2006, 2007, 2008 or 99, 00, 01, 02, 03, 04, 05, 06, 07, 08 models. You can also choose in different brands, such as . 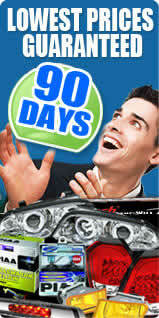 At TunersDepot.com, you can also find many L.E.D. taillights with different color options to choose, there is Clear LED Taillights, Red and Clear LED Tail Light, Black L.E.D. Taillamps, Red LED Tail Lamp, Red⁄Smoke L.E.D. Tails, Black housing LED lights have became more popular in the market because the factory taillight are usually made with chrome housing and you can see immediately see the difference in the appearance after the installation. Are these Porsche 911 tail lights sold by piece or as a pair? All our Porsche taillights are sold in the full pair. When you pay the listed price, you receive the complete set including both the right and the left sides. Are these Porsche 911 tail lights street legal? As far as we know the Sonar (aka Spyder) and KS (Anzo) brand tail lights on our website are all street legal as mandated by federal law in the United States. This basically means that they are designed to the specifications set forth by the DOT (United States Department of Transportation). Occasionally, DOT might test models for compliance. If any Porsche 911 taillights fail (rare) DOT will have the companies issue a recall. For those tail lens, you can return them to us for a refund. For any other brands besides Sonar (aka Spyder) and KS (aka Anzo), we can not guarantee DOT compliance. Also, please be advised that your local laws that may disallow these sorts of taillights to be used. After I installed Porsche 911 LED tail lights my front signals are blinking fast. What do I do? Your Porsche 911 front and rear signals are connected, so when you have a problem with one you will have a problem with the other. A fast blinking signal usually points to too much wattage going through the system. This can be caused by three different situations: 1) a dead bulb in the front or the rear, 2) the appropriate plug on the LED taillamp being plugged in upside down, or 3) the resistor box not being connected or malfunctioning. How can I prevent my Porsche 911 tail lights from fogging up? During the first few days of operation, it is normal to see some moisture appear in your Porsche 911 tail lens. This is due to the small amounts of moisture in the plastic and coating that are evaporated when the tail lens are first warmed up during use. This sort of moisture is normal and should disappear within a few days. To be sure that no external moisture gets into the new Porsche 911 tail lens though, it is a prudent idea to silicone seal the edges. Clear silicone sealant can be found in any hardware store (and some auto part stores), and can be applied to the seam along the 911 taillights where the clear lens meets the rear housing. Also, even if a bulb has died, make sure to keep it installed in the 911 tail lamp until you replace it to prevent moisture from entering through the bulb hole. Can I smoke my Porsche 911 tail lights? While smoking your Porsche 911 taillights (tinting them) is certainly possible through the use of carefully applied spray tint (use light even coats), doing so may make them too dark to be legal. Please check your local laws as well as smoked Porsche 911 taillights of any darkness might be illegal in your area. All information including, but not limited to images and text are copyrights of TunersDepot.com. All copyright infringement will be reported to the major search engines and violators will be held responsible to the full extent of the law. Porsche, and Porsche 911 are registered trademarks of the Porsche Corporation. KS is a copyright of KS Limited. Sonar and Yangson Design are registered trademarks of the Sonar Corporation.